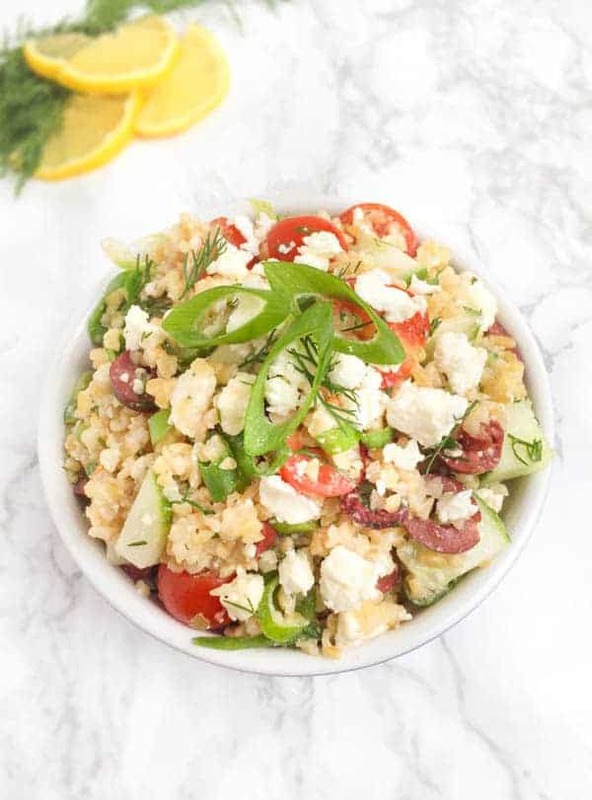 Full of ripe tomatoes, crunchy cucumbers and creamy feta, your family will love this traditional Greek village salad. Living just three hours away from Chicago, I have visited the Windy City no less than 40-50 times in my 35 years of life. Of course, as any foodie knows, no trip to Chicago is complete without a meal in Greektown. 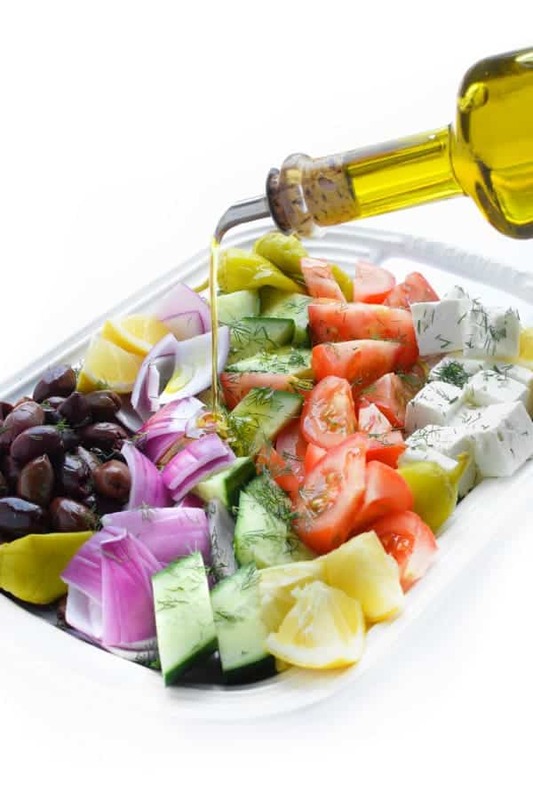 To compliment the silky egg lemon soup (avgolemono) and mouth-watering fried cheese (saganaki), we would always order a large platter of the classic Greek village salad. 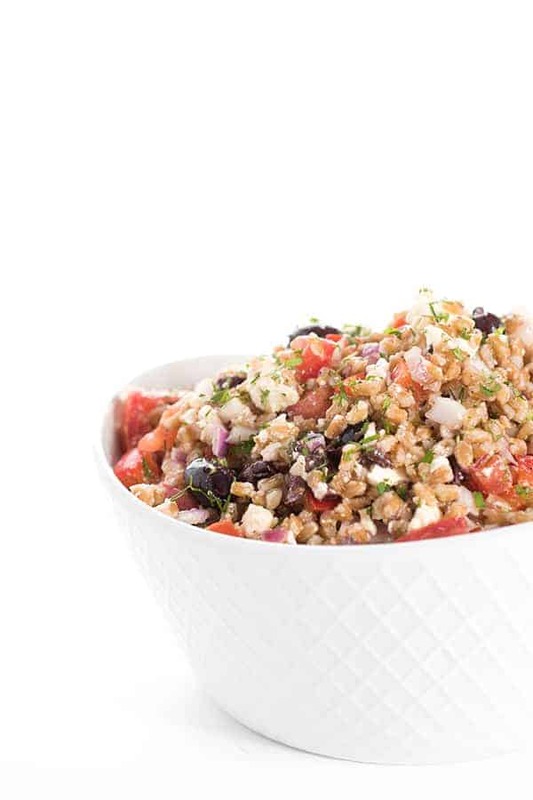 Made with large chunks of juicy tomatoes, crunchy cucumbers and creamy feta cheese, what makes this salad unique is that it doesn’t contain any lettuce. Just the good stuff! 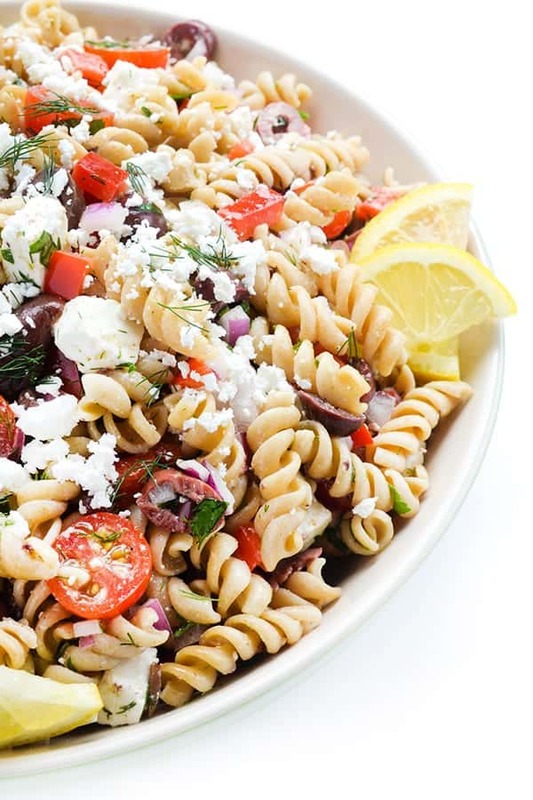 Drizzled with olive oil, lemon juice and a sprinkling of fresh dill, every bite of this simple and refreshing salad brings me back to Greektown in Chicago with my family. Take it a step further and serve with a big crush loaf of sesame bread. Scatter the first five ingredients (tomatoes through olives) on a large platter. Drizzle with lemon juice and olive oil. Sprinkle with dill, salt and pepper to serve. 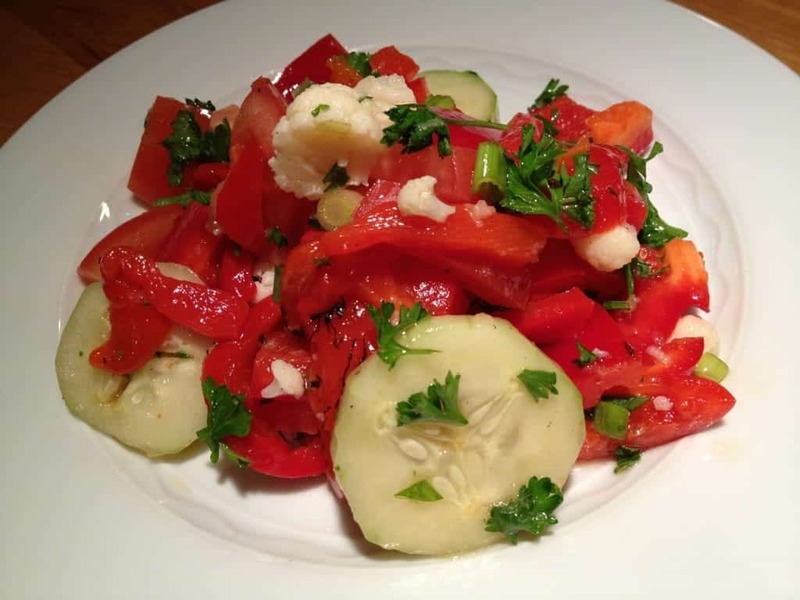 For more great salad recipes check out my Pinterest board! This looks amazing! 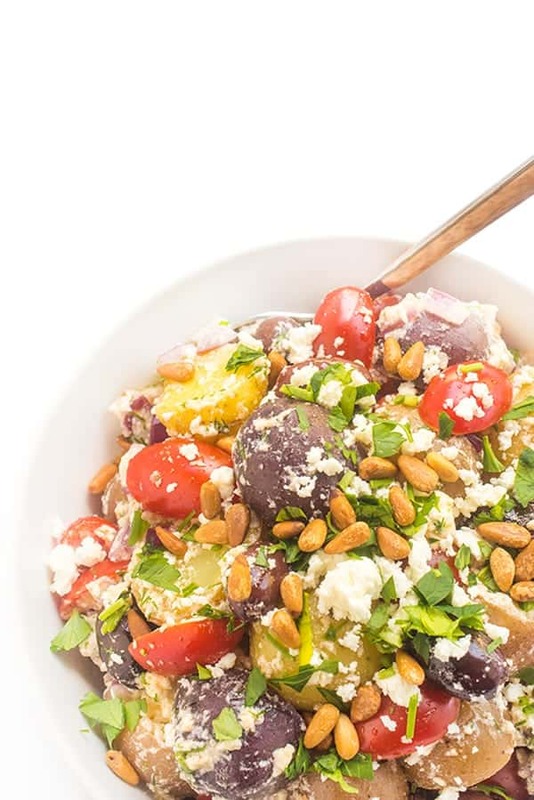 I love the flavors of a Greek Salad! The Greek restaurant I go to always puts lettuce in their salad, but that’s probably because is cheaper to make it that way. Unfortunately I don’t remember what was in the Greek salad we had on Santorini. From what I’ve learned, though, your recipe is the real deal. I like having access to authentic recipes like this. Well there is a normal Greek salad with lettuce but this is a Village salad. Thank you so much Susan! Ok, apparently I live under a rock, because I’ve been to Chicago multiple times, and I’ve never even heard of Greektown! Beautiful salad! Are you kidding me!?! You must go to Greektown!!!!! I am obsessed with dill!! Thanks girl!